With less than a month until the 2017 Revaluation comes into force, garden centre owners across the UK are seeking expert advice over recalculated rates as they are hiked up by as much as 50 per cent. Chris Primett of Malcolm Scott Consultants said clients were contacting the team amid concerns that new Rateable Values could cripple their businesses. 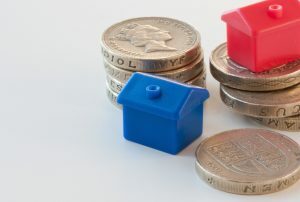 “The new Rateable Values were published on September 30th, based on the Valuation Officers’ estimate of a property’s rental value as of April 1st 2015. These will replace the current Rateable Values which are based on market conditions on April 1st 2008 – a period of seven years in which the UK property market has seen enormous shifts. “There has been a huge amount of concern surrounding the new calculations,” he explained. “As it stands,165 UK centres now face rate increases of up to 25 per cent, while a further 81 are dealing with hikes up up to 50 per cent. “The aim of the revaluation is to reflect these shifting market conditions, and produce a fairer rebalanced spread of the tax from both a geographical and market sector perspective. “The introduction of the new Rateable Values signal the closure of the current 2010 list, and ratepayers’ ability to appeal against their current RVs will be significantly restricted. 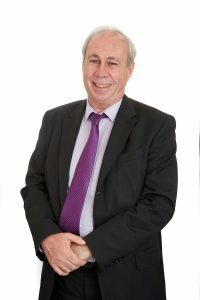 “The financial impact within the sector is huge, with the potential to put some centres out of business, so we’ve been working closely with our colleagues in the Harris Lamb Rating department to guide clients through the Government’s new Check, Challenge, Appeal process in order to get them recalculated. “With less than a month to go before the new Rateable Values are introduced, centres really are facing a battle against the clock to review current and future charges,” he said. Chris added that while many centres were facing increases, 46 garden centres would see a decrease in RVs of between 25 and 61 per cent.